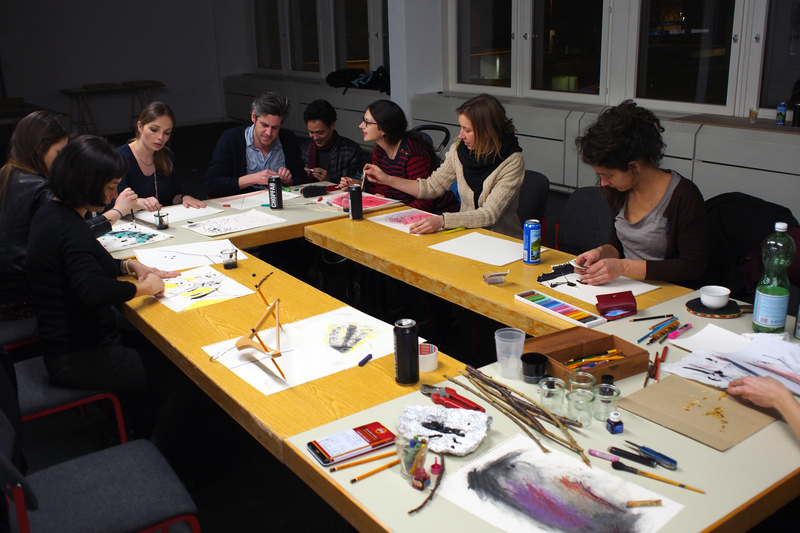 During this Practical Fridays session, Lubomira lead a workshop on abstract drawing. 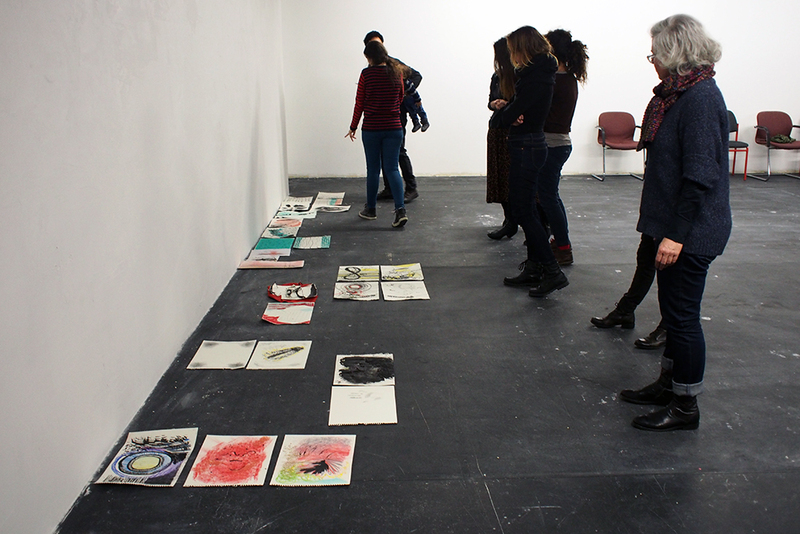 Those in attendance made spontaneous drawings without thinking, using a variety of conventional and unconventional drawing tools and materials. 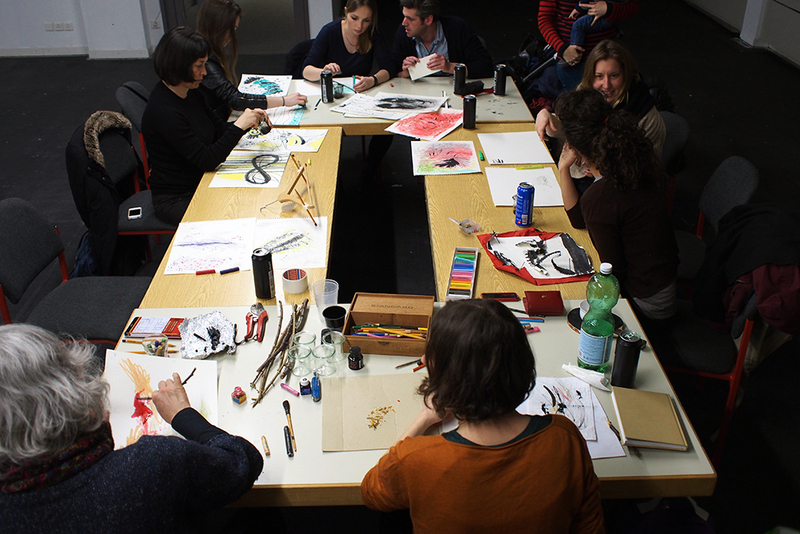 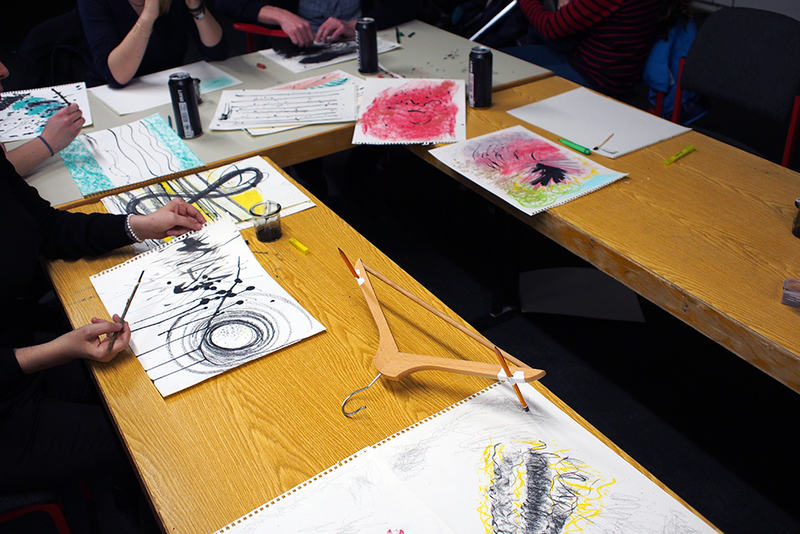 Each participant brought their own unique drawing tool to use in the drawing experiments.